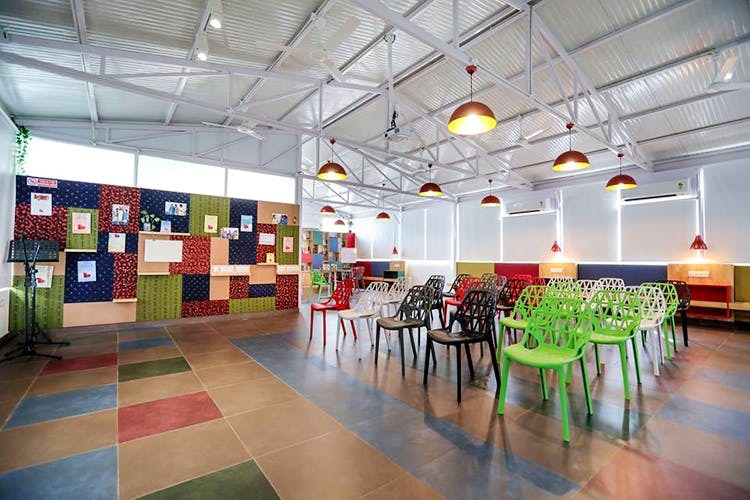 When it comes to event spaces in Koramangala, there aren’t too many options. Changing that is MyBoTree with a rooftop space that can host anything from an open mic to book club meetings. For professional pilates trainer to event organisers who are always on the hunt for a spot to conduct their classes or events, we have found you a quaint spot in Koramangala. Calling itself MyBoTree, the space is open to all kinds of events from workshops to performances and movie nights to book club meetings. And since it’s in Koramangala, you can say that it’s easily accessible too at least for the folks living in this side of the town. Located on the rooftop of the same building as Chinita, the performance and event space is comprised of the main area that can host up to 60 people at a time, meaning events such as open mics and talent shows (they host these time to time) is well suited for the space. Apart from being a space that you can rent out, MyBoTree also runs in-house events, classes, workshops, and meetups for women and children. Work from home mothers, those who are from corporate backgrounds and stay at moms, these events are curated just for you guys so that you break away from the monotony of life and have some fun on the side. A cooking class, pilates workshop, and workshops on women’s health are the kinds of events you can attend. Now, if your younger brother or daughter is the next Jimi Hendrix or Madonna in the making, sign them up for the Young Adults Program (YAP). Designed for kids between 12 and 16, YAP holds frequent classes that range from improv comedy to talent show and even self-discovery classes.